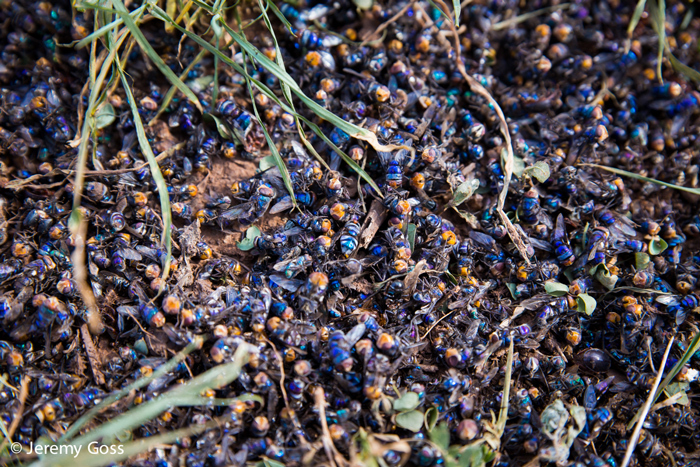 The dead flies are the first sign, their blue bodies reflecting the sun in glittering piles. Followed by that sinking feeling upon discovering a poisoned cow carcass that has been eaten by more than just flies. Dead insects, particularly flies, are always the first sign of a livestock carcass poisoned to kill returning predators. On the morning of 9th December a community informer came to Big Life Foundation, an NGO operating in the greater Amboseli ecosystem of Kenya and Tanzania, with worrying information. Multiple livestock had been killed the night before, and lions were responsible for some of the deaths. The call came from an area to the north of the core Amboseli ecosystem, a human-dominated place where there are no livelihood benefits associated with wildlife, and communities deal only with the costs. Knowing the threats posed by this set of circumstances, the informer was immediately sent to investigate further. He visited each livestock carcass and the owners all appeared calm. 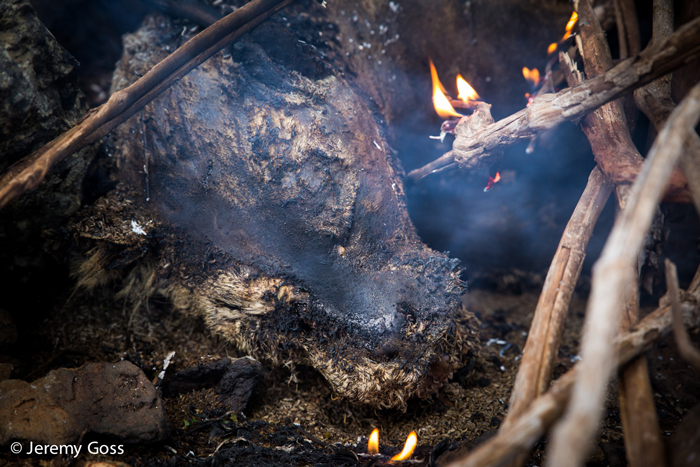 Some had slaughtered what remained of their animals, and no one was talking about retaliation. But he missed one cow carcass. The next day there were rumours of poison, and staff from Big Life, Lion Guardians and the Kenya Wildlife Service scrambled to get back to the scene. 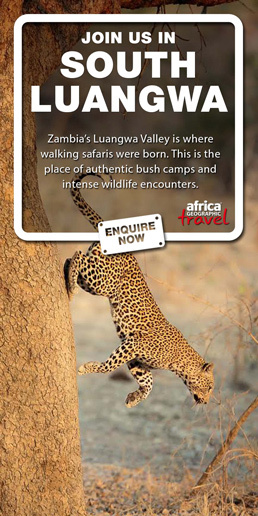 The rangers discovered the remains of a poisoned cow carcass, with lion tracks next to it. It wasn’t long before three dead lions were found, two of them young cubs. Tracks indicated that at least one (thought to be the pride male) survived, but there are four other lions in the pride that remain unaccounted for. The only adult female in the pride was also confirmed dead (her carcass is being burnt here), which is a blow to the future of the pride even if the rest did survive. 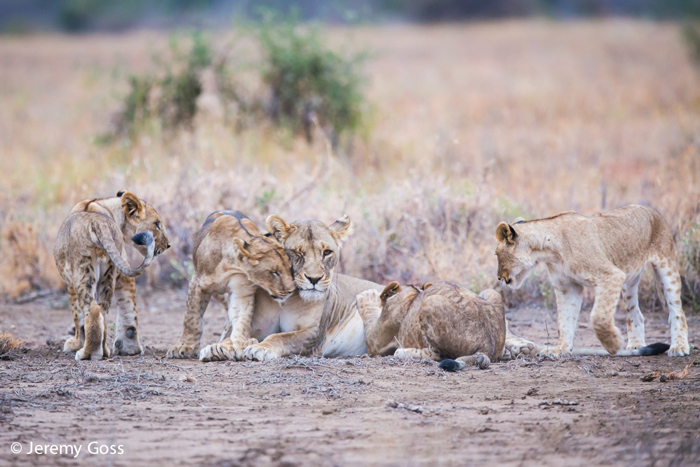 The Amboseli lion population has been increasing for the past decade, which serves as a beacon of hope at a time when an IUCN assessment estimates a 59% drop in sample populations across East Africa over the last 20 years. This is a testament to the success of a Big Life livestock compensation programme, and the complementary work of groups such as the Lion Guardians. The lion population of Amboseli has been bucking the general continental trend, thanks to targeted and effective conservation interventions. Pictured here is another pride that is still alive and well. But these interventions cannot reach everywhere and sadly this tragedy, which comes less than a week after a separate poisoning incident killed three lions in the Maasai Mara, was almost inevitable. 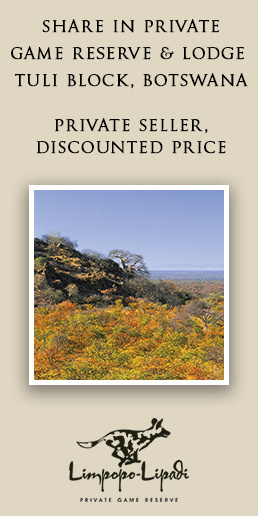 Lions (or any predators for that matter) that stray beyond zones of community tolerance are in immediate danger. Many of the communities in the areas bordering core wildlife habitat can ill afford the economic losses incurred by predators, particularly when these are not balanced by any benefits from the presence of wildlife. 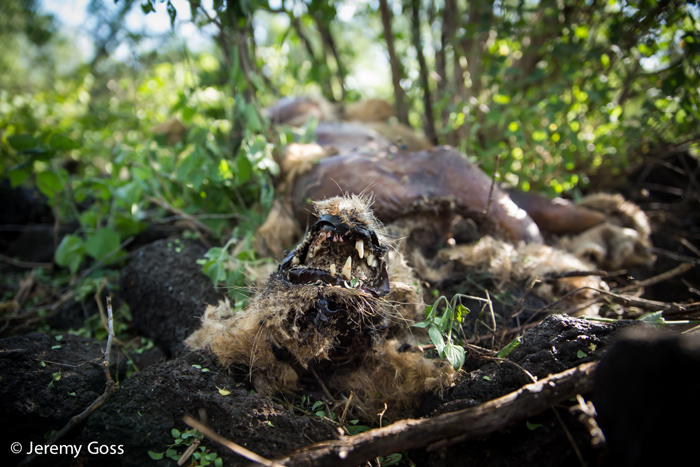 The effects of poison are not limited to predators and also take a heavy toll on scavengers such as vultures. Many vulture species are critically endangered in Africa, in large part due to the effects of poison. 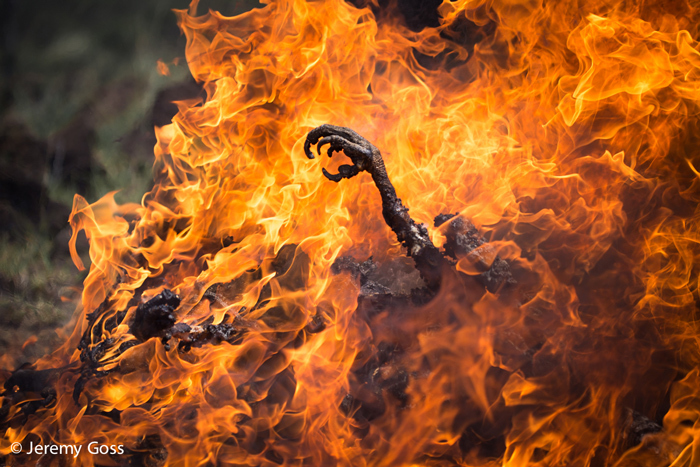 Pictured here is a vulture carcass being burnt after a different poisoning incident. There are some places in Africa where wild animals have a chance, and others where the balance has tipped too far away from natural systems. This is not a situation that needs anger to cloud understanding. These are complex issues, involving the welfare of both people and wild animals. Community engagement is the place to start, but unless predator conservation interventions can be scaled up, the reality is that it will always be difficult to prevent the ‘leakage’ effect when species that cause economic damage leave protected havens. I’m a simple guy and know what makes me happiest - time spent in wild natural places, preferably with awesome rocks, amazing clouds and my camera. After a number of years in the eco-tourism industry in Botswana and a backpacking stint around eastern Europe and Asia, I recently completed my MSc in conservation biology. My belief is that human population expansion, the root cause of the majority of our conservation problems, will eventually peak and reverse. My goal in life is to try to make sure we still have as many natural places as possible left at that time. See a portfolio of my photographic work or like my Facebook page for more constant updates from wherever I happen to be.